Why is it as the New Year arrives people are wishing, hoping and praying that all things good come there way, but the moment something does not go according to plan the bashing of 2018 starts? The request to fast forward to 2019 is at an all-time high!!! Let us be honest this usually happens before June or July. Why is a ‘New Year’ thrown away because things are not working in your favor? It is not 2018 fault and that now your plans must be put on hold until 2019. The year 2018 and year 2019 are just that, years. They should not determine how you move in life. If I allowed a New Year to dictate what I want to do or want to stop doing I would have things all out of order. You judging how your year goes is determined by you and your actions. Excuse me let me say is how WE treat it because I have to remind myself from time to time, I am in control of Brittany. Weight loss, financial come up, new house, new job and/or taking more vacations will not happen if you are not taking the steps to make it happen. A New Year is not going to determine it, so do not count down to it step up!!! I believe that if you make moves and get your life, good things will happen as they should. If you are sitting back counting the seconds into minutes into hours into days into…you get my point. Unicorns are not going to appear and give you all things shiny and great. We need to use our time and energy wisely and take actions that yield positive results. Do not depend on 2018 to do the work for you because 2018 can only give you the TIME to make it happen. I had some things I told myself I was going to stop doing when 2018 came. Y’all I told myself this in November 2017 and I quickly corrected myself and said N-O just do it now. It sounds silly when you sit back and think about it, why is it so important to wait for 2018? Not a darn thing!!! It is an excuse to drag it out a little longer because we feel we are not ready. Let us take the very start of 2018 to reflect on what it is we want to achieve going forward. We can make it our goal to make 2018 to be our best year by far. 2018 can be so good that when 2019 comes around the corner (because it will come fast) we can be proud of ourselves. I am all for giving myself a high five and a pat on the back. It never gets old lol. 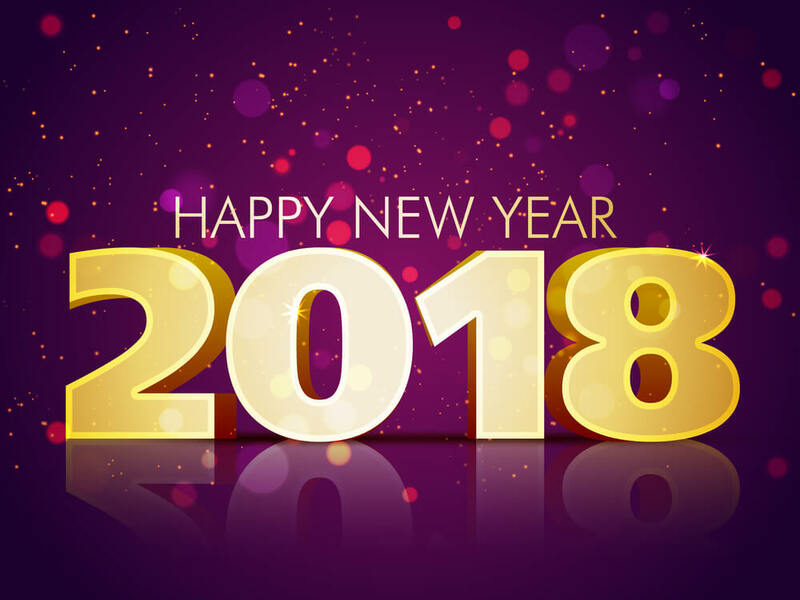 I hope that you come at 2018 with the determination to achieve all you set out to do and become an even better version of yourself. I mean really, what is better than that?